The simple yet beautiful Tigerchef Round Melamine Gold 13" Charger Plate is a smart investment for any event planner, caterer or restaurateur. 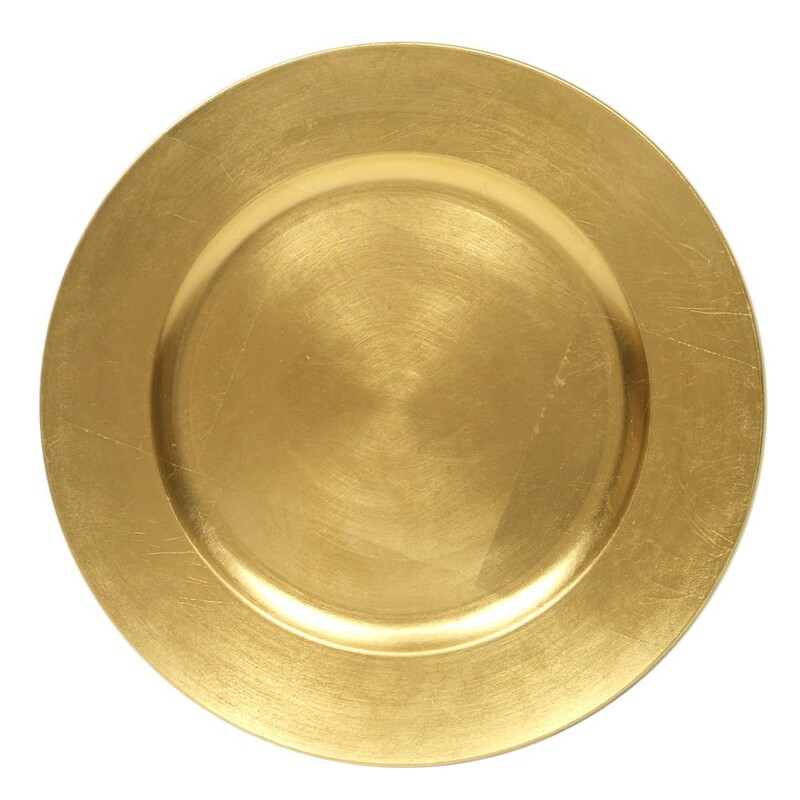 Crafted of durable melamine with a bright gold color and a shiny surface, this gold charger plate can be the perfect decorative table piece for wedding receptions, anniversary dinners, special occasion dining and party rentals. Perfect for many settings, charger plates are a simple, yet highly effective way to create ambiance and mood. With these durable melamine chargers, your restaurant dinnerware will be highlighted against the backdrop of the gold color, making your food presentations visually more appealing. In addition, these chargers are easy to hand wash after use and then hand dried right away, so they can be reused as often as needed. Their durable melamine construction indicates that they are break- and scratch-resistant and with care, can last for years in any food establishment. They were everything I expected. The gold color is very attractive and not too flashy. A nice item for the money. Beautiful gold chargers and very nice quality. Great price. Made my Thanksgiving table look lovely with my china. Q: are these painted/lacquer, or is the color "baked" into the melamine. In other words, do I have to worry about the color scratching off? A: The chargers are painted, food should not be placed directly on them. With proper care, you should have no problem with chipping or scratching.